0.75" P-H200 Inner Diameter 0.25 in. 0.75" P-H200 Outer Diameter 0.75 in. 0.75" P-H200 Packaging Dimensions 2 in. x 2 in. x 1.8 in. 0.75" P-H200 Weight 0.02 lbs. 0.875" P-H201 Packaging Dimensions 2 in. x 2 in. x 0.1 in. 0.875" P-H201 Weight 0.01 lbs. 1.0" P-H202 Packaging Dimensions 2.3 in. x 2 in. x 0.1 in. 1.0" P-H202 Weight 0.02 lbs. 1.25" P-H203 Packaging Dimensions 3 in. x 2.3 in. x 0.1 in. 1.25" P-H203 Weight 0.02 lbs. Knob shaft washers as I expected and delivered right on time. Great for restoring those old Estey Magnatone guitar/accordion amplifiers!! The felt washers on those get really nasty! These fit, and make the amps look and feel a whole lot nicer! Fits amps like the Magnatone M10, M10A, and such! Also fits many old wooden cabinet radios too! You can even dye these back to match the Estey washers. 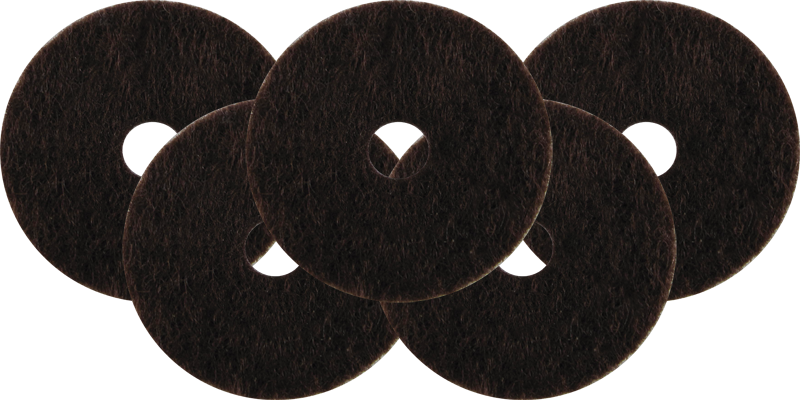 Near-perfect replacements for the round felt washers that prevented friction between knobs and cabinets when radios were new. Not quite as thick as the originals but really worth having. I'll buy five or six packages at a time and use them all over about six months. The washers are just what I needed for my restoration. Nice, but seems most originals are noticeably thicker. 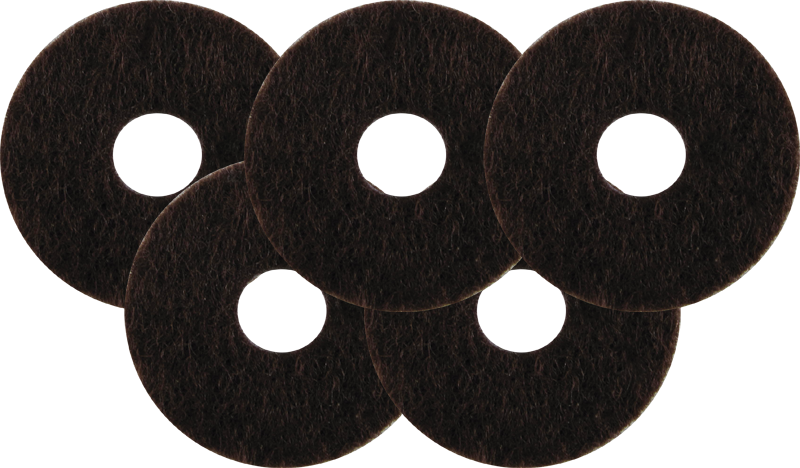 Its a felt washer :) It keeps those ugly blemishes from appearing beneath the knobs. Gave you a high rating because the package arrived in quick time and the washers are the right ones.Seeing l'm in Australia l didn't except them so soon. The washers are approx. 1mm thick. This price is for a package of 5. Asked by Anonymous on November 7th, 2017. These come in a pack of 5 pieces.